These days, it’s not too often that you see an all-in-one device. In the past, all-in-one devices were great for their portability, effectiveness, and ease of use. But ever since the JUUL exploded in popularity the market has been flooded with pod-style vapes and AIO devices were largely forgotten. 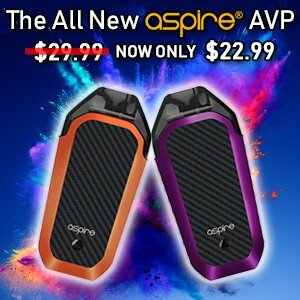 One company that hasn’t forgotten is Augvape and they’ve just released their AIO — a throwback device made with better materials and technology than AIO’s of previous generations. Now, I personally loved AIO’s because they made vaping as easy as possible — even easier than with pod vapes. The only problem was finding an AIO that wasn’t ancient, and that you could still buy coils for. The device used for this review was sent to me free of charge, directly from Augvape. The Augvape AIO features a built-in tank, built-in battery and even uses sub-ohm mesh coils. In this review I’m going to give you the complete rundown so that you can decide for yourself if it’s worth picking up. The Augvape AIO is a great device, but it’s strangely similar to the Joyetech eGo AIO. They both feature leak-proof built-in tanks that use 0.6ohm coils, both house a 1500mAh built-in battery, both use 510 drip tips and are both devices mainly meant for DTL vaping. They both even look pretty similar. But while these two devices are very close in comparison, the Augvape AIO feels more solid and well-constructed in your hand. It’s also surprisingly good in the flavor department and will provide a very smooth and airy draw with the airflow fully open. The sub-ohm coils make this device best suited for use with regular low-nicotine ejuices rather than with nicotine salts. The tank will hold up to 2ml of ejuice and can be filled by unscrewing the top cap. This is probably the only downside to the device as you have to remove the coil everytime you refill. This can get a little bit messy but this design ensures that the tank will never, ever leak. The battery life of the AIO is also decent but the 0.6ohm coils mean you’ll be vaping at a higher wattage than if you were using a pod vape. Because of this increased power draw, I personally got about a half-day of heavy vaping out of a full charge. Those new to vaping will love the AIO for its simplicity and reliability but it is not recommended for nicotine salts. Overall, the Augvape AIO is an excellent DTL vape but MTL users might want to seek out something different. The Augvape AIO is tall, rounded and has a good thickness to it. It’s basically a vape pen but wider. The AIO measures just under 1 inch at its widest point and is 4.62 inches tall. This is not too tall and not too thick and I found the shape to be just right. The device does have a bit of weight to it, but It’s comfortable to hold and definitely isn’t too heavy. The weight gives the AIO a sturdy and solid feel in your hand. The AIO is made out of zinc alloy. This gives the body strength and durability and also helps in keeping the device to a reasonable weight. The white color that I received for this review has a gorgeous pearlescent finish that also feels nice to the touch. But if white isn’t your style, you can also get the AIO in a shiny gunmetal or metallic red color. On the bottom of the device is Augvape branding, but the device is otherwise free of any logos or writing. This gives it a plain and pretty low-key look. I like it. The AIO uses a tall 510 drip tip. I really liked using this drip tip, but it is removable. So if you don’t like it you can easily switch it with any other 510 drip tip that you have. The firing button is the only button on the AIO. It’s diamond shaped and is located on the front of the device. It’s responsive, provides good feedback when pushed and is easy to reach with your thumb. However, if you use your index finger to fire the AIO then you won’t be able to see the LED battery indicator — it’s located on the opposite side of the device from the button. A better placement for this LED would of been inside the tank, but this is a pretty minor issue that I can live with. In terms of safety features, the device has a 5 second, continuous firing limit. It also has low battery protection, short circuit protection, and over current output protection. The 2ml tank capacity of the Augvape AIO is on-par with most other AIO’s and pod-style vapes. It’s not the largest tank but it gets the job done. You do use quite a bit of ejuice due to the 0.6ohm coils so I found myself getting around a half day of vaping before I had to refill. My favorite part about this device is that it’s completely leak-proof. The tank is built right into the mod and is non-removable and the airflow is positioned at the top of the tank. The end result is a tank that is completely secure and never leaks. To install the coil and fill the tank, you just have to unscrew the top cap from the device. The underside of the top cap is the chimney and this is where your coil will screw into. There is a rubber ring on the bottom of the chimney to ensure a tight seal and it certainly does its job. For filling, there’s a window on both sides of the tank that allows you to see your ejuice level. There’s a black max-fill line right about in the center of the windows and this is where you’ll want to fill your ejuice to. Because the coil goes into the tank, filling it any more will cause the juice to spill-over. Now, because you have to remove the coil to refill the AIO it’s a bit messier than refilling other devices. But the tradeoff is that it will never leak once it’s filled. I found that the best way to refill the device was to unscrew the top cap, shake off the excess ejuice, and then place it top cap down on a flat surface while I refilled the tank. If you’re quick you can refill mess-free, but this certainly isn’t the case every time. There is also a minimum fill line that is just barely visible at the bottom of the glass window. You’ll want to make sure to refill the AIO before it goes below this point or you risk burning the coil. The Augvape AIO comes with two 0.6ohm mesh coils. Because of their sub-ohm resistance the AIO will work best with regular nicotine ejuices. Nicotine salts will deliver way too much nicotine and it will not be a pleasant experience. In any case, the coils are mesh and this should deliver some good flavor. I’ll go over how the coils fared a little later on in the performance section. Replacement coils for the AIO are also reasonably priced. 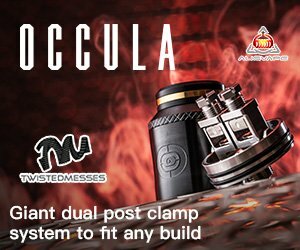 You can get a pack of five coils for just around $10. The airflow on this mod consists of two very wide airflow slots. These slots are fully adjustable and can go from all the way open for a very airy DTL draw, to very very restricted for a tight MTL draw. The only thing here is that the airflow control ring could have been made tighter. It’s a little too loose for my liking and ends up getting misconfigured everytime I throw it in my pocket; a little annoying. I found that the AIO delivered the best balance of flavor and clouds with the airflow about halfway open. This provided a nice DTL draw that was still quite loose while still giving good flavor from my ejuice. The AIO comes with a 1500mAh built-in battery. This is larger than what you’ll see on most AIO or pod devices but this doesn’t necessarily mean better battery life. The 0.6ohm coils draw quite a bit of power from the device and this ended up netting me just about a half day of usage. This is decent for a sub-ohm device of this style and I found it to be acceptable enough. But if you’re searching for a device that will last you through a whole day without recharging, this isn’t the one. As for charging, the AIO charges extremely quickly for a micro-USB device. It takes just over half an hour to recharge the device to full. So while it may only last half a day, it recharges extremely quickly. However, one thing of note is that there’s no pass-through charging. The ability to vape while you charge has been around for a while so it’s strange that this feature is not supported. This seems to be a thing with some Augvape devices as the Lyfe Pod does not support pass-through vaping either. In terms of the flavor and vapor quality that you get from the Augvape AIO, I’ve been very impressed. I used a variety of 65/35 & 70/30 VG/PG ejuices with the coils and they seemed to do pretty well. But before using the coil, I recommend priming it. There are two holes on the coil and I would suggest putting a drop of eliquid into each one. Then, fill the tank to the fill line and insert the coil. The button on the AIO works really well and has good responsiveness and clickiness. I had no problems with the button and I thought that it was well placed for comfortable use. But as I mentioned earlier, you’ll have to use the button with your thumb if you want to see the LED indicator light. Not a huge deal, but something to note. I very much liked the airy DTL draw as the 0.6ohm mesh coils gave some very good flavor and vapor production. While you are able to use the AIO as a MTL device, you’ll have to restrict the airflow nearly all the way. The AIO isn’t meant to be used like this, so I’m fearful that it will end up burning the coil eventually. I stuck with using it as DTL vape and I recommend you doing the same. If you want a MTL device, the Augvape Lyfe Pod is worth checking out. The direct output wattage provides a max of 30W of power. This decreases as the battery dies and you can definitely notice the draw getting weaker. I got about a half day of solid vaping out of a full charge, but this will vary depending on how much you vape. You get much better flavor and vapor than with other pod vapes and this is probably because the AIO uses sub-ohm mesh coils. The increased surface area combined with the low resistance means bigger clouds, more vapor, and better flavor. I would say that it’s comparable in this way to a traditional sub-ohm tank, but with a bit more portability. At the end of the day, is the Augvape AIO worth picking up? Personally, I would say yes. It’s available for just around $30 and for the price, you get a device that delivers better flavor than almost anything else at a similar price point. Plus, the sub-ohm mesh coils wick and vape well with the DTL vape style of the AIO. Although it can be a little messy to refill and the battery is a little small for a sub-ohm, you get a tank that is basically leak proof and the device charges quickly. For those seeking something more portable than a tank and mod combo that will still deliver good flavor, the AIO will likely fit your needs.